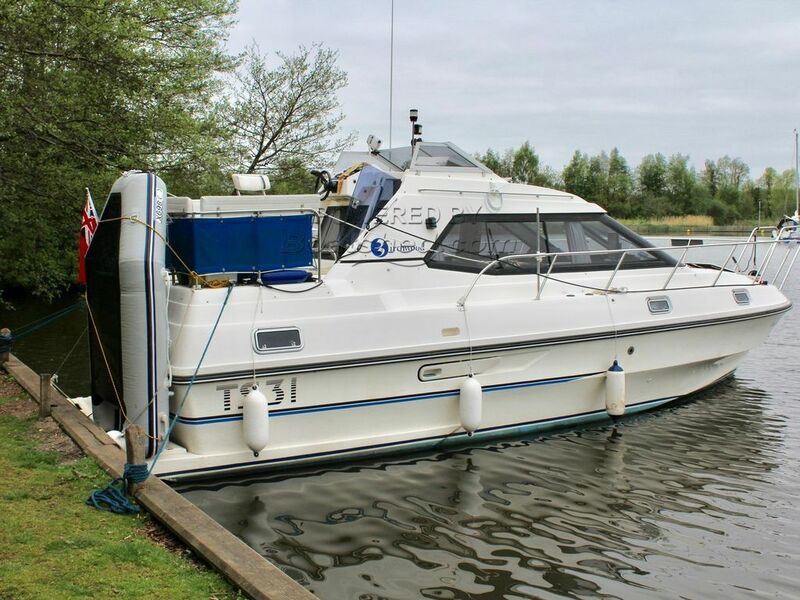 A very well priced Sports Cruiser from the Birchwood stable powered by twin Volvo diesel engines. Externally she is in very good order and there doesn't appear to be any damage other than a crack in the bathing platform on the port side. Mechanically she starts and runs well. The interior upholstery to the seating is the original so really in need of replacing but otherwise she is a very good looking example. She is priced accordingly as she is £10k below average asking price. This Birchwood TS 31 has been personally photographed and viewed by Gary of Boatshed Norfolk. Click here for contact details.